It's precious! Perfect Baptism Gift for my sweet granddaughter. Gift for ggdaughter. This was the highlight of the night. She was all smiles. 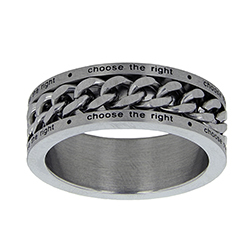 I ordered the CTR ring with the filigree on each side, the website said it was in stock, i ordered it on a Friday nite as soon as my kids got me the granddaughter's size, for baptism on a week later, so I was pressed for time and I was sent an email on Tuesday which I didn't read until that nite, that it was out of stock, called so I could get something in the works, the lady at the shop was very understanding, helpful and polite, so since the time crunch I paid the $20 for expedited service. 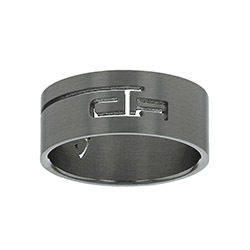 Thank goodness it got there on Friday like promised, thank you for that, but that was a lot to pay for a simple CTR ring. 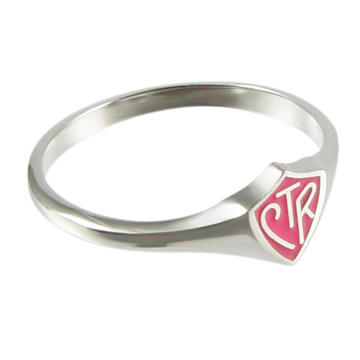 I love my new pink CTR ring! 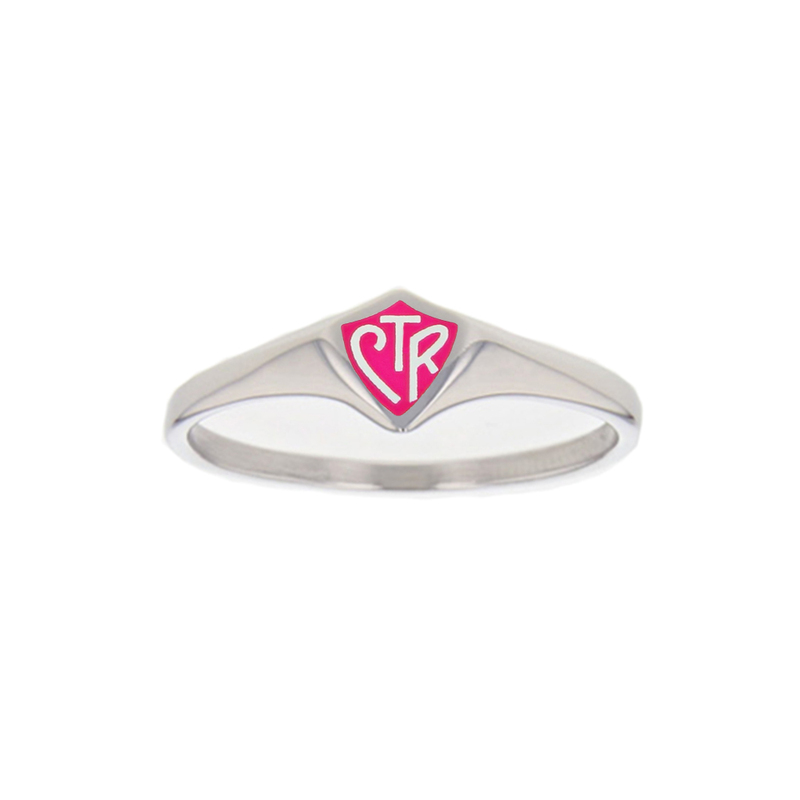 I love my new pink CTR ring! 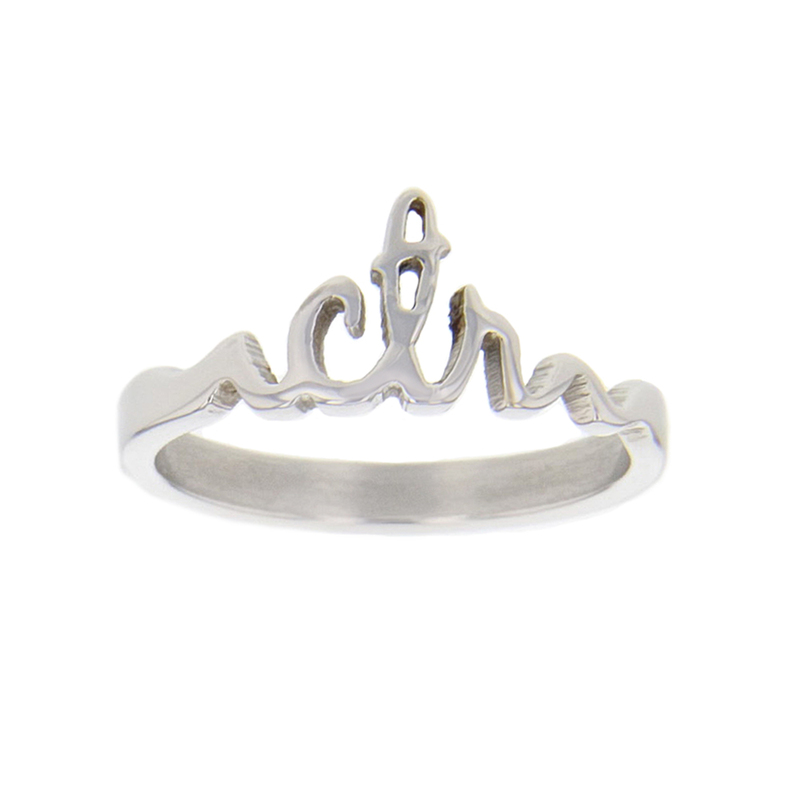 I have been wanting a new ctr ring for the longest time and did a lot of shopped around and I am very happy with my purchase! Thanks for the deal!